In a Facebook post, finance minister Arun Jaitley said the conventional practice of funding the political system was to take donations as well as undertake expenditures in cash. 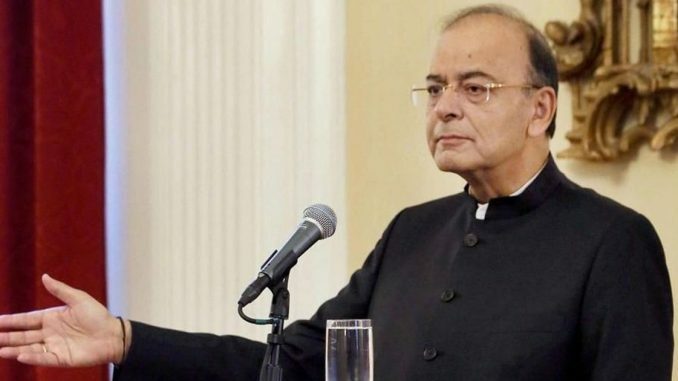 New Delhi: The government was open to suggestions to further clean political funding in the country, finance minister Arun Jaitley said on Sunday, describing electoral bonds as a big improvement over the opaque donation system in operation at the moment. In a Facebook post four days after the government released the details of the bonds, Jaitley said the conventional practice of donations and cash deposits was “non-transparent”. “The present system ensures unclean money coming from unidentifiable sources… Most political groups seem fairly satisfied with the present arrangement and would not mind this status quo to continue,” Jaitley said. The government on January 2 notified electoral bonds as a new instrument for donations to political parties. “The government is willing to consider all suggestions to further strengthen the cleansing of political funding in India. It has to be borne in mind that impractical suggestions will not improve the cash-denominated system,” Jaitley wrote. He said that the Opposition’s criticism about the efficacy of the bonds was an attempt to “run down any alternative system which is devised to cleanse up the political funding mechanism”. Electoral bonds are an interest-free instrument in the nature of promissory notes that can be purchased from specified branches of State Bank of India for any value in multiples of Rs 1,000, Rs 10,000, Rs 1 lakh, Rs 10 lakh and Rs 1 crore. The bonds, valid for only 15 days, do not carry the names of the donors, which, the Opposition says, will keep the system opaque. Jaitley countered that the bonds would force political parties to disclose the amount of donations received to the Election Commission. The entire transactions would be through banking instruments against the present non-transparent system, where the donor, the donee, the quantum and the nature of expenditure remained undisclosed, he said. On the donors’ identities being disclosed only to banks, Jaitely said that experience had shown that donors would not find the scheme attractive (if their identities were not protected) and would go back to the less-desirable option of cash deposits.